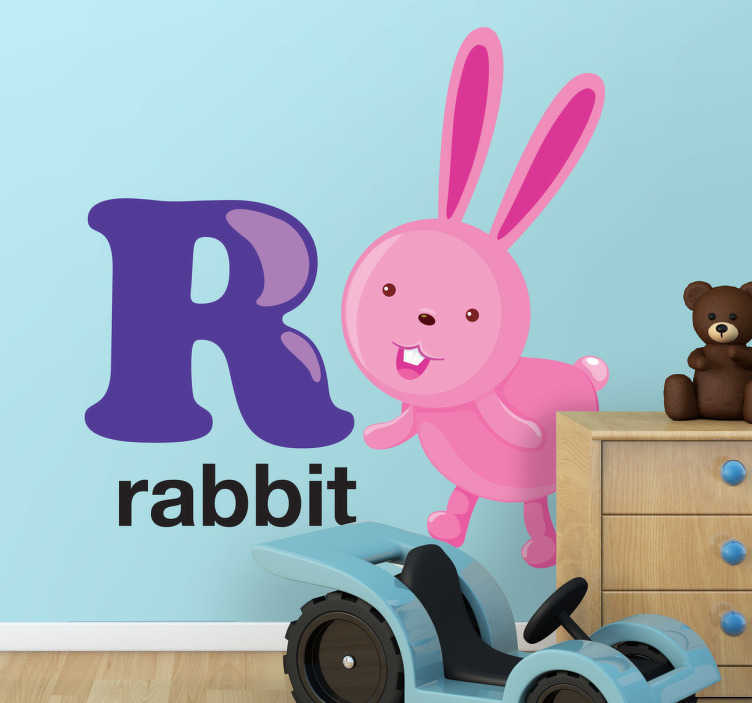 Everyone loves rabbits so why not use this fantastic letter decal of the letter R from our collection of rabbit wall stickers to decorate your child's room! Your child will love this fantastic decoration. If you are looking for a colourful and educational rabbit decal then you have found the perfect design for you! Give your children's bedroom a new atmosphere and appearance. This R letter design illustrating a rabbit is available in various sizes. It is easy to apply and leaves no residue upon removal.